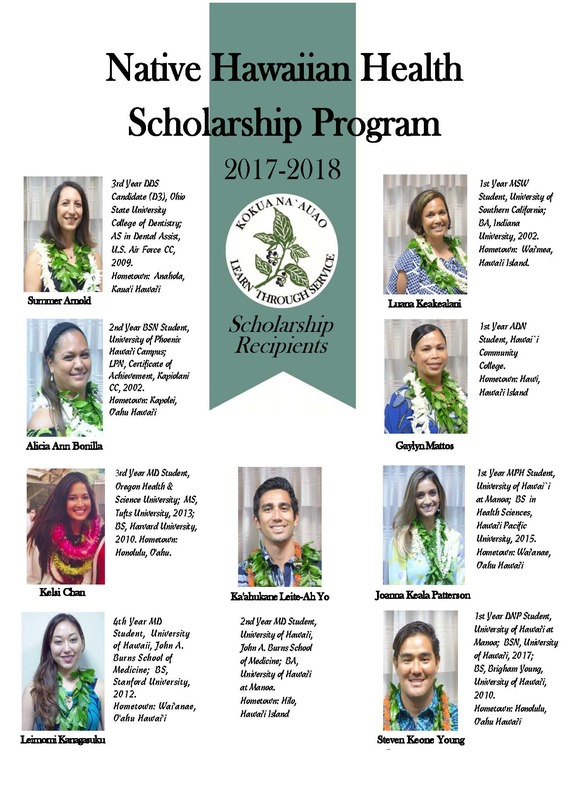 (Kaka‘ako, O‘ahu, Hawai‘i) Papa Ola Lōkahi is pleased to announce that nine scholars in diverse medical and allied health training programs have been awarded the Native Hawaiian Health Scholarship. 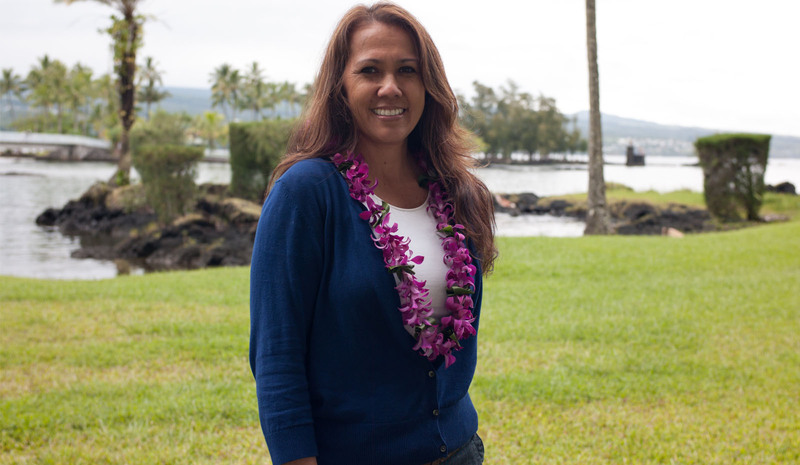 "The students in this 2017-2018 cohort are stellar scholars and committed to serving the needs of our medically underserved communities," asserted Keaulana Holt, director of the Native Hawaiian Health Scholarship Program (NHHSP), which is administered by Papa Ola Lōkahi. "I'm proud of each one." Three awardees are studying to be physicians, one a dentist, one a masters level social worker, and one public health worker. Three are in nursing programs at three different local schools at three different levels. 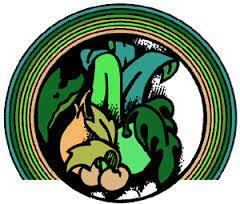 Six are in school in Hawai'i; and three are in accredited programs on the continental United States. NHHSP scholars may attend any accredited program at any college or university in the United States. Eventually, they’re called home to Hawai’i to fulfill their service obligation. 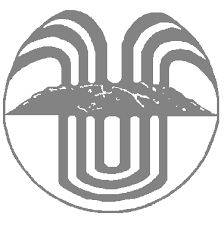 The objective of the NHHSP is to address access to health care by developing a Hawaiian health work force committed to serving the unique needs of Hawaiian communities. 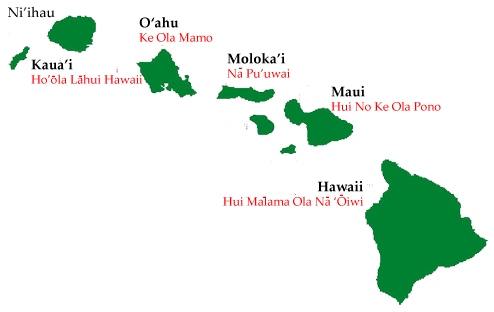 Once licensure is complete, these scholars will work full-time in medically under-served areas in Hawai'i for two (minimum) to four (maximum) years, relative to the length of scholarship support. Since 1991, more than 275 awards have been made in 20 different primary and behavioral health care disciplines. More than 200 have already been placed into the workforce on six islands impacting the well-being of the communities they serve. Of those who have fulfilled their service obligations, nearly 90% have continued to serve medically underserved areas and populations in Hawai'i. More significantly, NHHSP scholars have risen to positions of leadership, impacting change in health perspectives, policy, promising practices, and emerging technologies among their patients, colleagues and the communities they serve. 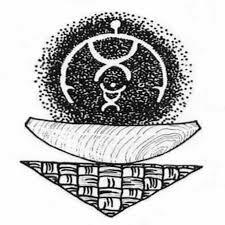 They are the role models for other Kānaka Maoli who aspire to be of service in a healing profession. Visit www.nhhsp.org for more information about the Native Hawaiian Health Scholarship Program. 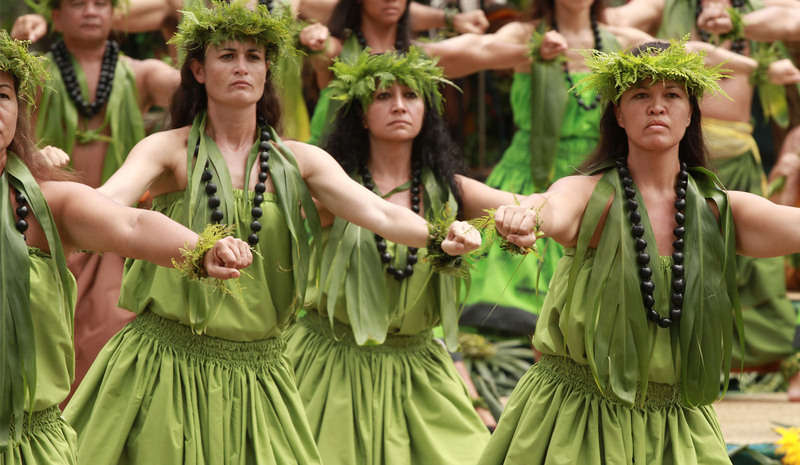 Participating in an ʻawa ceremony is one of the most meaningful experiences we can have as kānaka. The high protocol and mutual sharing of ʻawa provides for reflection and commitment to one another and to ourselves as kānaka. The swirling of the ʻawa, the ʻōlelo spoken, the dipping of the apu into the liquid and the role the kānoa has in anchoring the ceremony remind us how our culture is fluid. 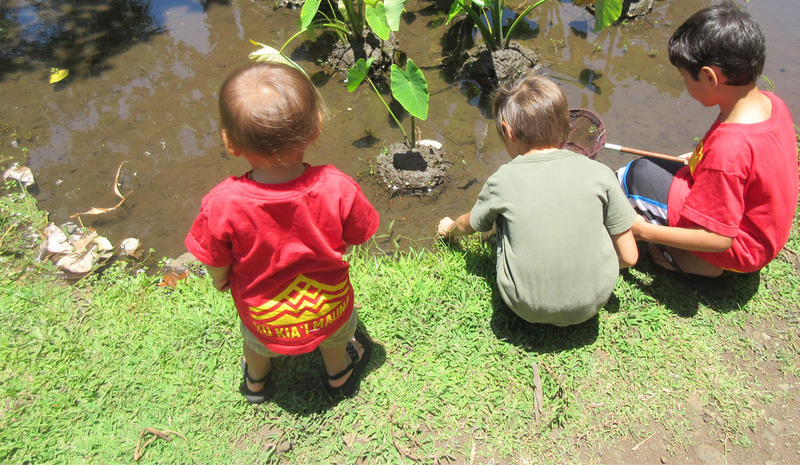 As we flow through our everyday lives, there are still touchstones that keep us focused and grounded to our ʻāina. 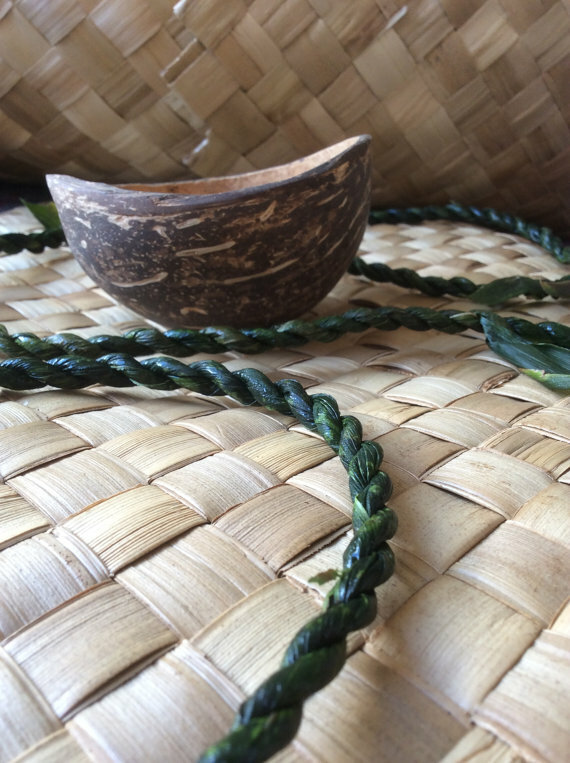 Understanding that connection to things beyond assures the culture and traditions of our kūpuna flourish with future generations. 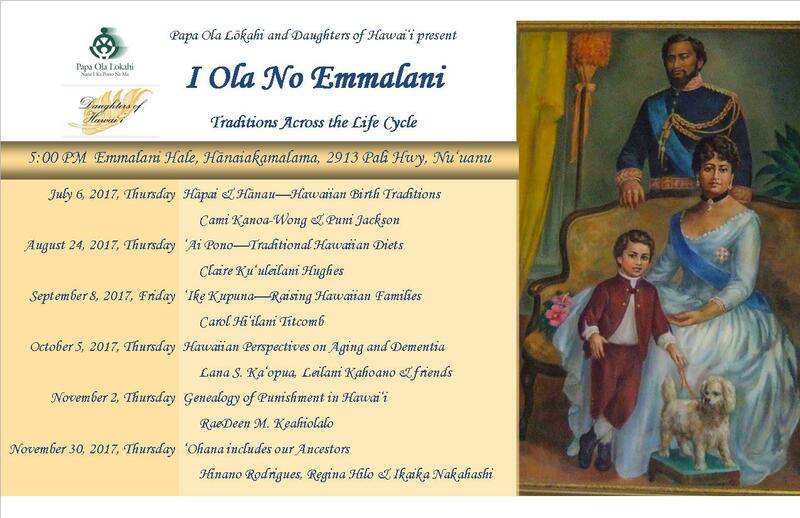 It is a reminder of the kūleana that we have as kānaka. Mai poina a makaʻala e nā kānaka. E Ola!